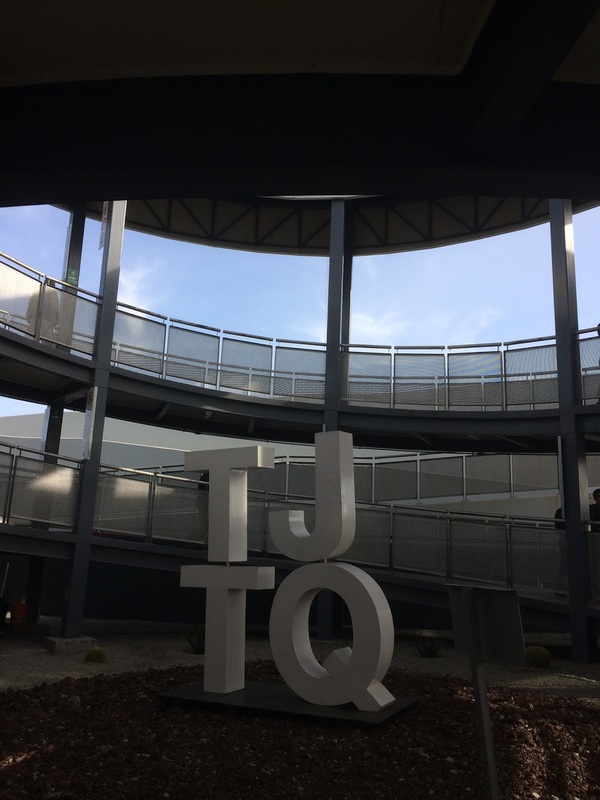 Tijuana’s border crossing has both literal, and metaphorical meaning in my life. 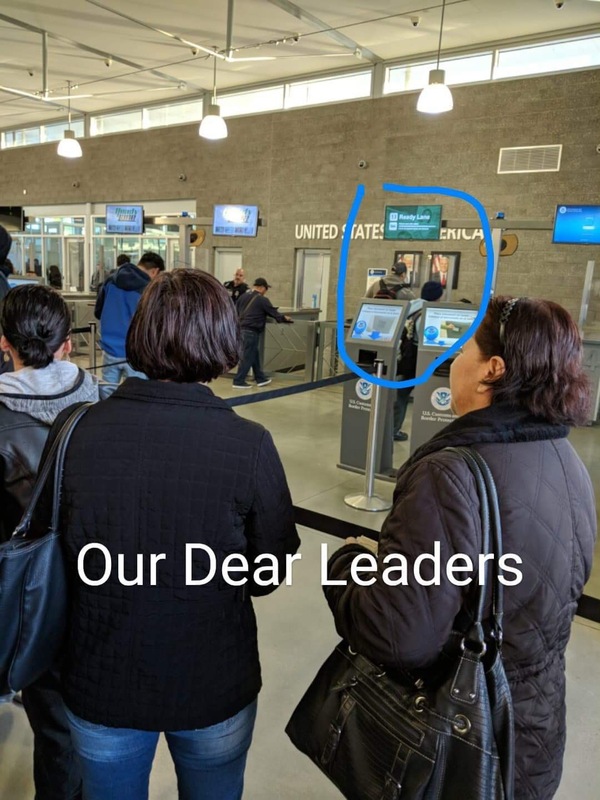 I wrote about the latter in my previous post on life transitions, but in this one I want to write about the former: The very real and tangible border crossing – the busiest in the world. 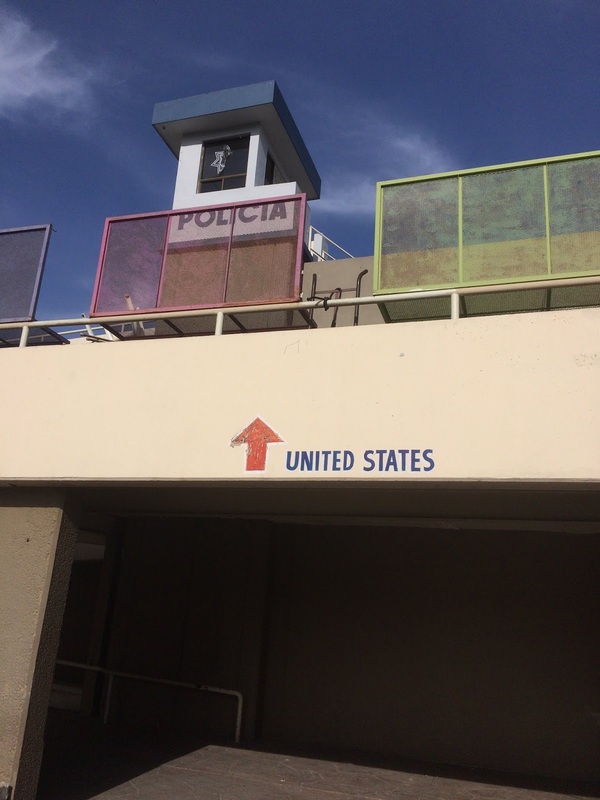 Technically, there is one border but two points of crossing: El Chaparral vs San Ysidro. There are some differences between the two: El Chaparral is newer, San Ysidro has a trolly stop. At certain times of day the lines are longer in one than the other. People cross from Tijuana everyday to work in San Diego, then return to their homes at night. I never cross with car. The waits had be four hours sometimes. On foot, it is a mere 15 minutes. "There was a moment of frantic panic when I didn’t find my friend at the boarder. The Lyft dropped me off at a circular drop-off point, as he should have, and I walked all the way to the revolving door, where I could see - like the metal doors in an amusement park - that once I went through there was no easy way to return. Also, perhaps strangely or intentionally, I had no cellphone service at the border. From inside I could not reach my friend, so I walked back. Walking toward the entrance to Mexico, carrying one bag in each hand felt primitive. Something primitive about a journey on foot. But when I turned around at the gate and walked back the opposite direction, the face of every stranger met me in confusion. Why am I walking back, they wondered. I felt embarrassed, but not enough change the pace of my walk or the determination that I must find my friend. I walked as far away as I could from the border in order to get cellphone signal. This took me back to the trolly station and a sad dirty street of currency exchange places and American fast food chains. The signal came and I got a text from my friend to meet him in front of the McDonalds. Right where I was. I waiting in the shade as the sun picked up force. I ran to hug him as he approached. Almost as soon as we crossed the border it felt hotter. That Mexican sun that William Burroughs wrote about. Everything is different in that sun. Walking out of the building, there were rows of women with small children selling chicklets gum. It was clear the children were placed there for sympathy. We kept walking. I’m not sure why I expected to emerge into a city as soon as we crossed, but I was surprised to find little at the border. Dirt. Heat. Dilapidated buildings. My second expectation was that we could get an Uber or taxi. 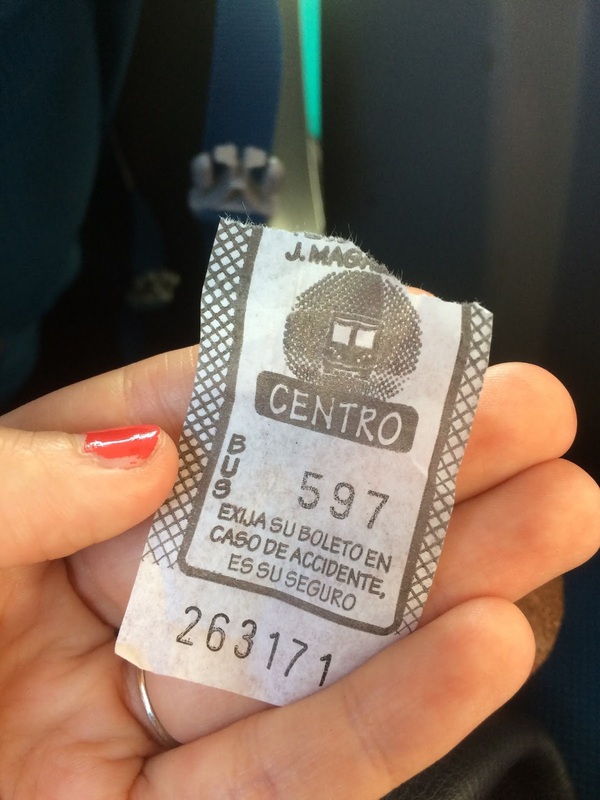 Instead my friend directed me to what he called a “bus” - colectivo is Spanish. It was actually a giant van that could hold not more than 25 people. And it was already packed. Every seat taken, arms and knees spilling out into the aisle. We thought we would have to stand but there was a row of seats in the back. My thighs were pressed between my friend’s and a girl beside me. We were handed a paper ticket, the quality of the paper was so bad it could not have been used for newspaper. I wondered if the ink would rub off on my hand. The windows were up and there was no AC. It was hot but not a long journey. As soon as the bus moved, a man got up, walked through the aisles and sold chocolate. I wondered if that chocolate was completely melted in this heat. He was not a pushy salesman, just letting everyone know that he had chocolate to sell. The bus moved quickly and we jumped out of our seats every time it went over a pot hole or a mound - I never knew which it was. I remember saying to my friend that if this were a plane, I would be afraid of the turbulence. We took turns quickly and slide into each other. We shook and buzzed and jumped with the bouncy motions of the bus. Someone shouted “Bajar!” and the bus stopped. Our stop would be next, my friend said. But the driver did not announce any stops and I wouldn’t have known when to shout Bahar! I was about to do it but got scared, and thankfully someone else shouted and we stopped at the right place. Getting back into the United States, for a U.S. citizen like myself should be no more complicated, and indeed, my friend trip back through El Chaparral was without incident. The second time…not so much. The Uber driver was supposed to drop me off at the usual gate, but for some reason, police had closed the road, the waved him down another street which both he and I had never traveled. The street was barricaded with cement walls on both sides, no way to turn around or change lanes, and led us right to the car-crossing point. This was a nightmare because neither my driver nor myself had any intention of crossing with the car traffic. He did not have a passport and would have been detained for attempting entry, and I did not have four hours to wait in traffic (I had a flight to catch in San Diego). Cars boxed us in from behind and on both sides, I began to panic. My friend rolled down the window and began a negotiation with a street vendor. We handed the man some cash - $5 USD maybe, and like Moses parting the red seas he motioned to his team of vendors to begin parting the cars. Slowly drivers began moving their cars aside, creating a passage for us to back out, drive over a median, and get out of the border crossing lane. I tipped the Uber driver in cash and had him drop me off in the city, where I walked, albeit a little far, to the pedestrian crossing. Frazzled and a little jumpy, I calmed down in line and had time to enjoy the strange beauty of El Chaparral.